Join us for an evening of seasonal surprises with Lantern Light Tours: Finding Your Place. Set on Christmas Eve in the year 1876, the play offers small windows into the lives of people on the verge of great change, both personal and cultural. The show includes five scenes of seasonal delight, featuring a winter fantasia, a spirited circle dance, and perhaps a visit with old St. Nick! Written by esteemed playwright and dramaturg Kato McNickle, Finding Your Place invites us to explore the world and broaden our point of view to better understand our place within it. Children ages 3 and younger receive free admission (each tour is limited to no more than four children under the age of 4. Please call 860.572.0711 if you have young children in your party to reserve space). Advance registration is required. Tour size is limited to 16 tickets. Each performance of Lantern Light Tours is an approximately 90-minute tour that covers roughly half a mile of uneven terrain including cobblestone, wood planking, grass, gravel, and stairs. Audience members walk or stand for the majority of the show. Because performances occur in all weather conditions, we strongly recommend the use of seasonal outerwear and appropriate shoes. Please note, the horse-drawn carriages cannot accommodate wheelchairs. Guests in wheelchairs will receive a personalized theatrical alternative to the carriage-ride experience. Visitors requiring a wheelchair or with accessibility needs should call 860.572.0711 to book their tour. 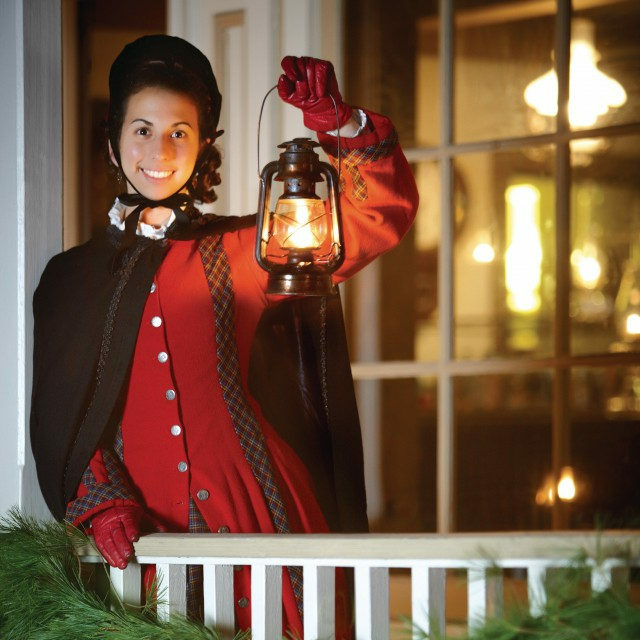 Performances of Lantern Light Tours require a special ticket in lieu of general admission. Performances are appropriate for all ages, though not recommended for children younger than the age of 4.